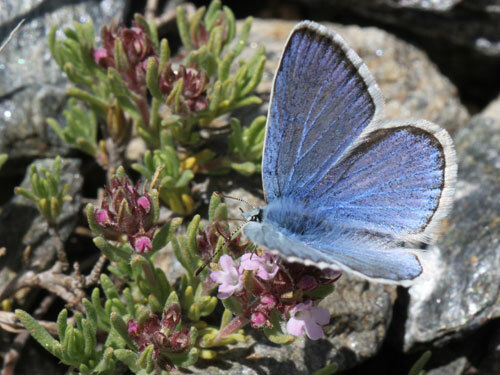 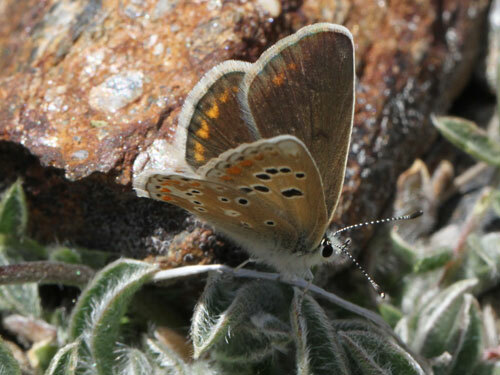 Endemic to SE Spain - the subspecies golgus flies on the Sierra Nevada and sagratrox on the Sierra Sagra. 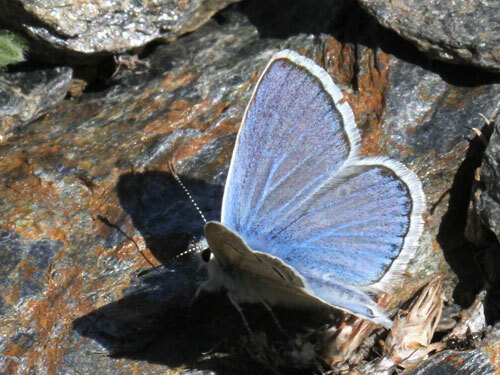 The latter subspecies is sometimes considered a separate species but this doesn't appear to be supported by DNA analysis. 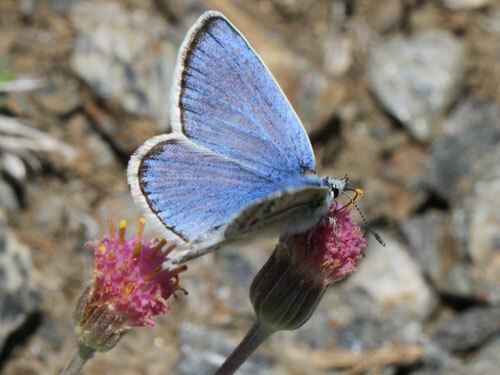 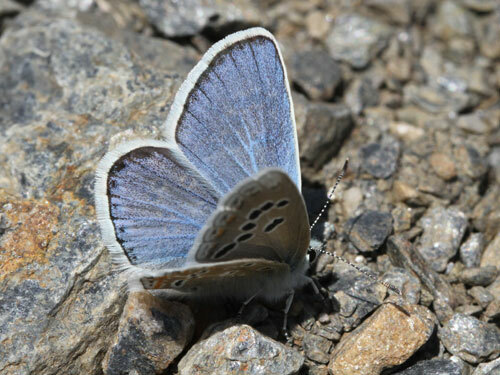 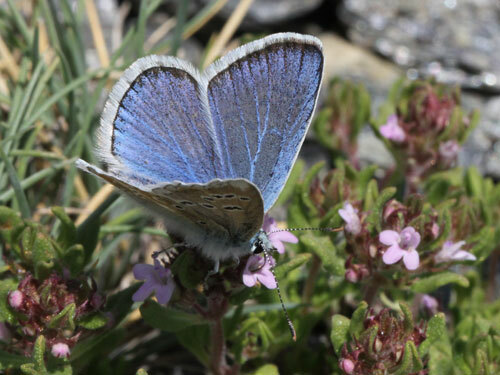 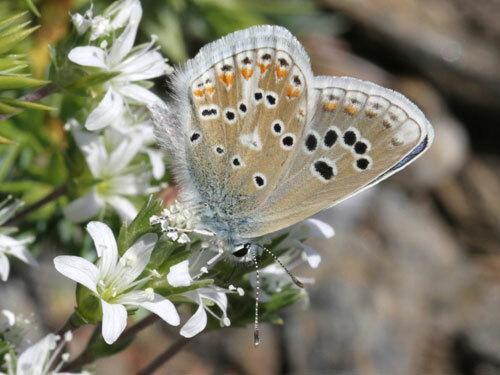 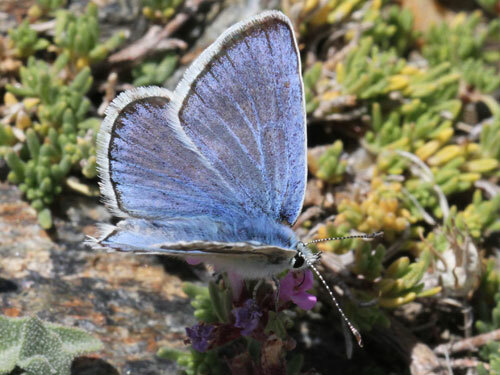 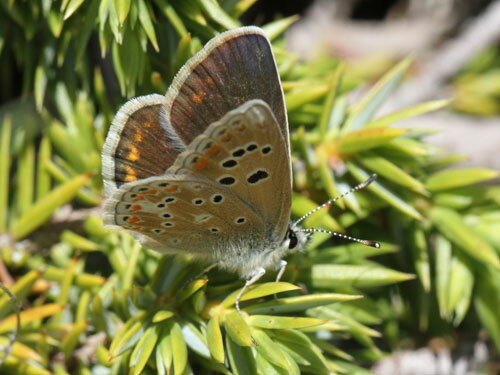 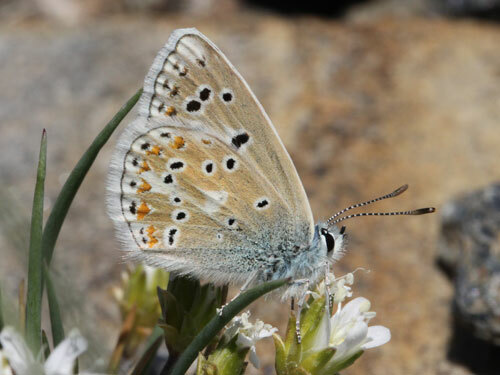 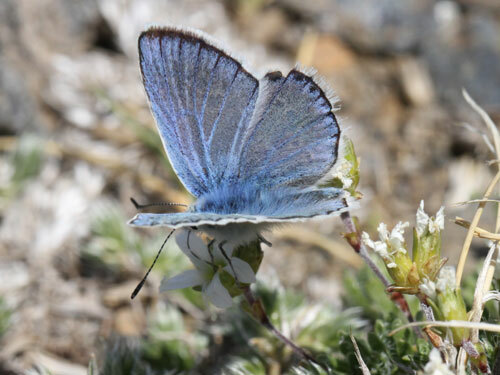 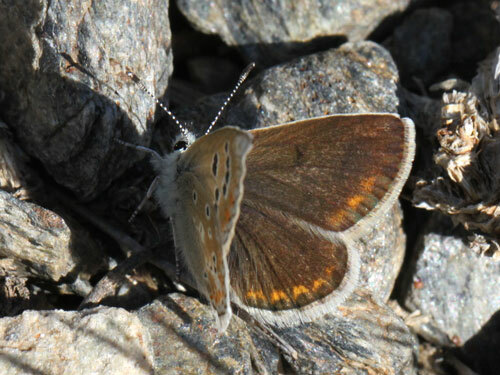 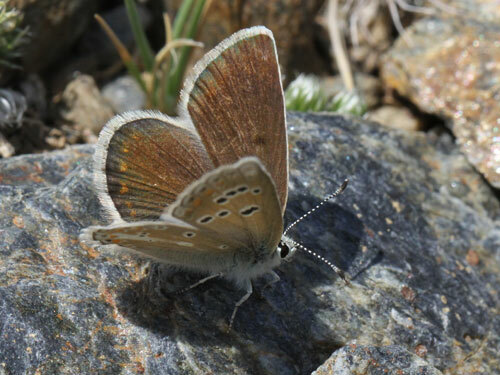 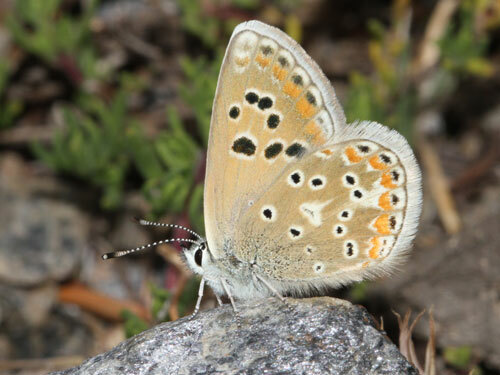 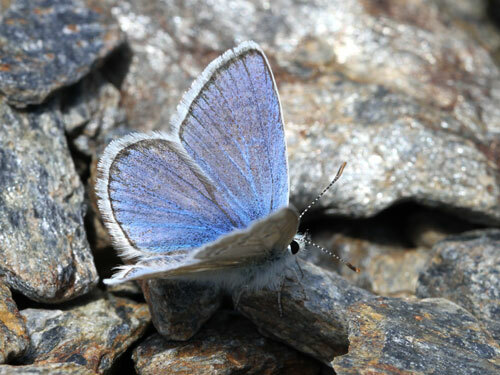 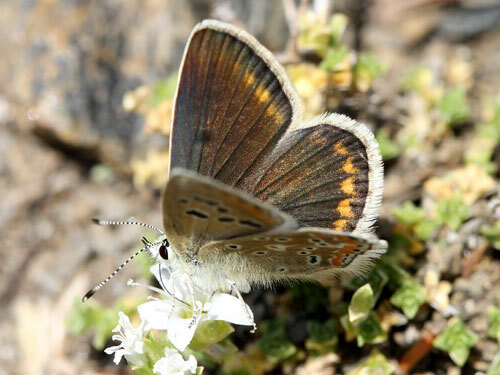 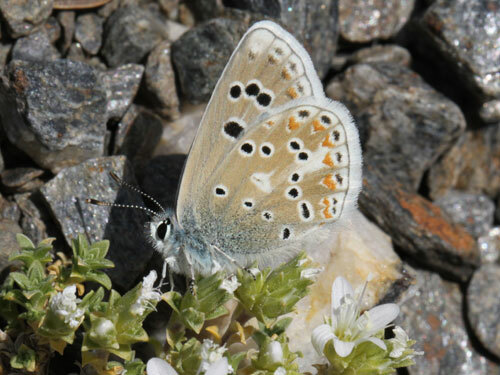 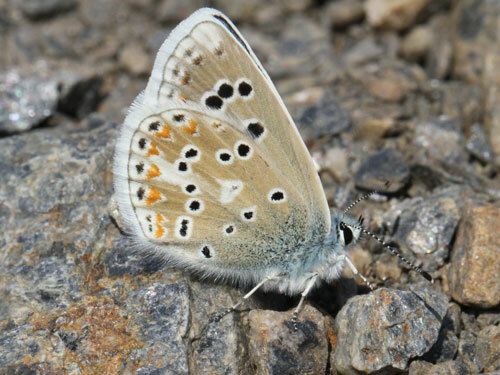 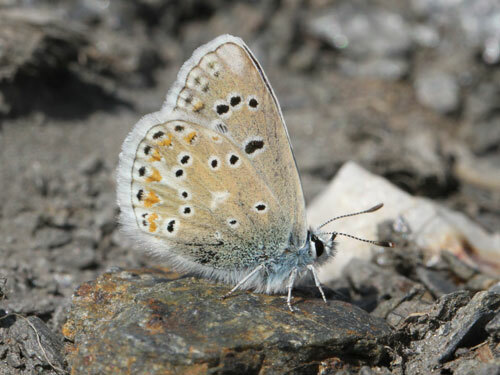 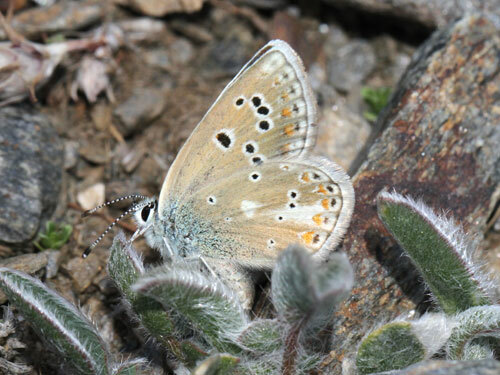 Identification & Similar species: The bright light blue uppersides of the male and larger round spots on the brownish underside separate this species from the Escher's blue A. escheri which can fly in proximity. 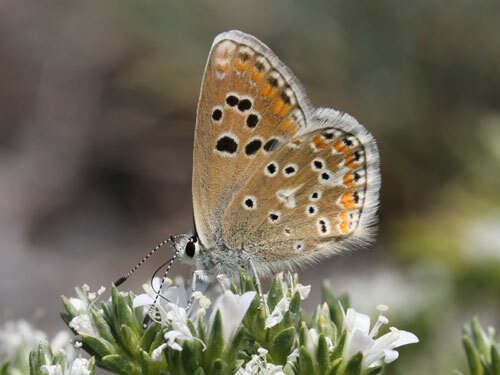 Distribution & Flight: Only found in SE Spain. 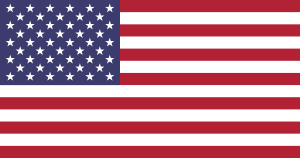 It flies in July. 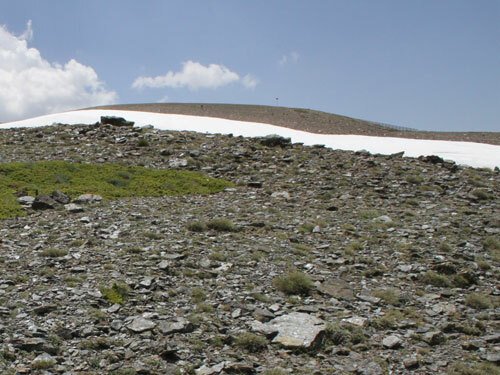 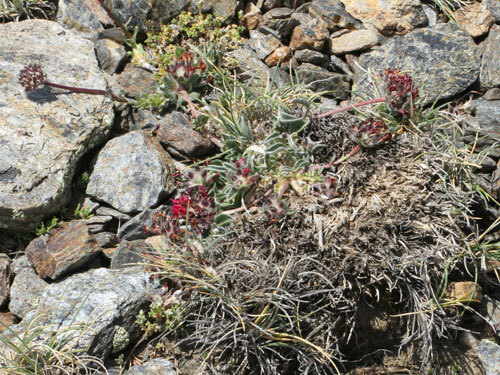 Habitat & Behaviour: Very high exposed rocky locations above 2400m in the Sierra Nevada, from 2000m in the Sierra Sagra. 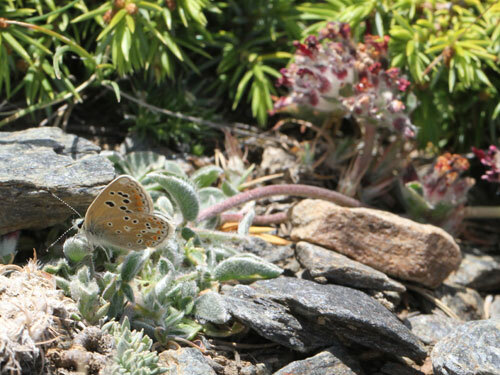 Vegetation is sparse and the larval food plant kidney vetch Anthyllis vulneraria is rather small and very low growing. 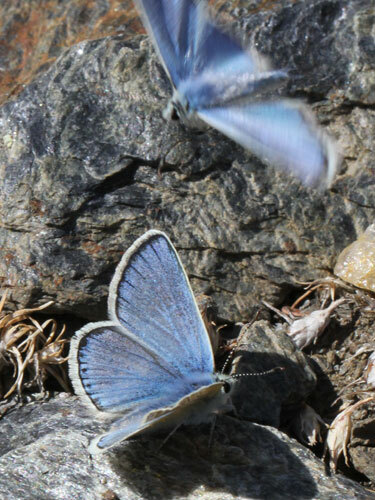 Both sexes fly low over the ground and take nectar from a range of flowers. 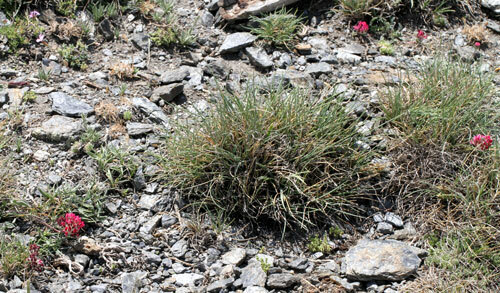 Habitat and larval food plant kidney vetch Anthyllis vulnararia.